Hello friends! I’m Canadian Stampin’ Up! Demonstrator Allison Okamitsu, and I’m so thrilled to be sharing some Valentine’s Day projects with you today on the Scrapbook & Cards Today blog. 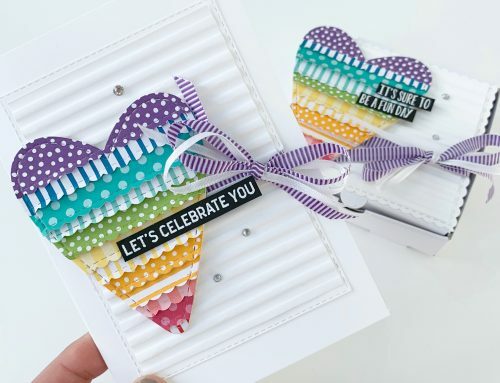 Rather than the traditional red and white with hearts, I chose to create my projects with the adorable Perfect Mix Stamp Set and the colours Pool Party, Pink Pirouette, So Saffron, Smoky Slate, and Crumb Cake. The Perfect Mix stamp set is so adorable, and I had such a great time watercolouring the images. I’ve created a card, treat bag, and scrapbook page to show you the true versatility of this set. I create a special Valentines card each year for my husband, and this one is for him! However, I can totally envision giving this to my best girlfriend as well. Valentines cards are not just for your significant other, spread the love and send a note of love and appreciation to your friends and family too! You can create this repeated stamped background by masking the sentiment part of the stamp with a post it note, and then stamping the handheld mixer several times with Archival Basic Black Ink. I stamped mine on Watercolor Paper so I could go back in with my Aqua Painter and watercolour the images with the colours Pool Party, Pink Pirouette, So Saffron, Smoky Slate, and Crumb Cake. I think lots of Moms would love to send their child to school with cute decorated Valentines treats or show up to the office on Valentine’s Day to spread some love to coworkers, however sometimes by the time we are ready to shop for the treats all the Valentine’s stuff is gone and it’s on to Easter! Well don’t worry, with this cute little egg carton stamp you can totally pull of Valentine’s Day treats with mini eggs. You can create this little tag shape with the Scalloped Tag Topper Punch, and they come together really quickly. If you’re making these with the kiddos, why not ask them to colour the egg carton and eggs? It’s a fun way to get everyone involved in the creative process. Last but certainly not least, I’ve created a scrapbook page to document the time my husband and I spent working in the restaurant industry together. The Perfect Mix Stamp Set is SO perfect for this. Maybe you weren’t a chef in your past life, but do you bake with your little ones? Once Valentine’s Day is over you can use this stamp set for your scrapbooking. I hope you’ve enjoyed my projects today. I had such an incredible time using the Perfect Mix Stamp Set for all my Valentine’s, and I hope I’ve inspired you to use it for Valentine’s Day and beyond. Thank you Allison for joining us again and for sharing these darling projects! We completely agree that the Perfect Mix stamp set is very versatile and sweet for Valentine's projects! We're thrilled that our friends at Stampin' Up! have offered this set to one lucky reader! For an opportunity to win, be sure to leave a comment below by February 28th and tell us what your favourite Valentine treat is! Congratulations Sandy! Please send your address and telephone number to us at ideas@scrapbookandcards.com and we'll send if off to Stampin' Up! Please put "Stampin' Up! winner" in your reference line. Thanks for joining us today and sharing Allison's beautiful projects! Enjoy the rest of your Saturday! Fabulous creative interpretation w these stamps. Pastels were a treat! What a lovely stamp set. I just love the tag with the eggs saying you’re one in a dozen. Too cute. Love the card but would love to make it with the eggs. Great ideas. Thank you so much for a chance to win! I have been eying this set in the new catalog. Love the projects you created with it! These are the most amazing card ideas! Love the Perfect Mix stamp set. i LOVE these kitchen stamps, especially since everyone knows I love to cook. Congrats Sandy! My friend has this set of stamps and there really are nice for your grandchildren! Super cute Allison! How cute is the little candy egg carton with the egg carton tag! Great ideas, once again, congratulations to the lucky winner of the stampin up set, hope her grandchildren enjoy the cards. Congratulations Sandy! What a great prize package! Enjoy! My favorite Valentine’s Day treat is either a heart shaped red velvet cake (our whole family’s favorite!) or Funky Chunky’s Sweetheart Mix! YUMMY! If you haven’t tried it yet head over and order some NOW! They are on sale and you might want to get extras to make up goodie bags for the kids to give out with their Valentine’s cards! I love Lindor chocolates any time of year. Just curious, where did you purchase the cute plastic “egg carton” with the treats? too cute. love the mixer.. my favorite valentines treat are peanut butter daisy.. love them. Chocolate – do I need to say more,more, more!!! Love the cute stamps and would love to use them on some projects I have going. Congrats to last month’s winner! Enjoy! Love the fun set that’s being featured today and the sweet projects that Allisaon created with them. I don’t celebrate Valentine’s Day, but I’m tempted to try my hand at some red velvet brownies with Nutella hearts in the middle, after seeing a free recipe on Craftsy this past week. Love the mini egg project. Too cute. Never in my wildest dreams could I imagine what it’s like to see all those goodies in one place. I would be overwhelmed. You’re so very lucky. What a fun stamp set! My favorite Valentine’s treat is Russell Stover’s Chocolate Covered Caramel Heart. Wonderful projects! Love this set. My favorite Valentines treat is chocolate covered marshmallow hearts. The dozen eggs are perfect for those mini-egg candies. Would love to win them for my Easter gifts. Thanks for the chance. Oh the Perfect Mix stamp set is so cute! I think it would be a fun set to use for cards and when my grandson is a little older some scrapbook pages! Favourite Valentine’s treat? Wow, it has to be chocolate, very good quality chocolate. This set is the perfect mix of elements for this baker! Perfect for cards and scrapbook pages! Thanks for the inspiration and the chance! Beautiful projects! 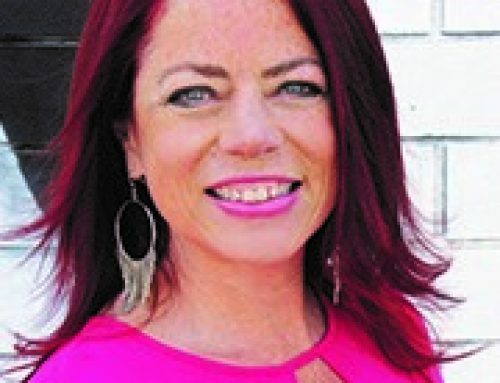 Thanks for the inspiration Alison! Thanks Allison for showing so many fun ways to use this adorable set. Love the colors and the combos and hope to CASE them. Also….Congratulastions on your Artisan Design Team win! Thanks SU for a chance to win such a fun set. Thanks, Allison for the ideas. This set was not on my radar. It is now! But the plastic egg crate? Where did you get those? Perfect Easter treat. Love the Perfect Mix stamps. They could be used in a recipe album without the sentiments. Our fav Valentine treat is double chocolate Brownies! My favorite Valentine’s treat is dark chocolate. Cute stamp images! My favorite Valentine treat is chocolate! Cute projects. I love that scrapbook page. TFS. So many wonderful and creative ideas!!! Love all your projects and this fun stamp set. My favourite Valentine treat is Bernard Callibeau chocolates! The best! What a fab set, great samples too! Such adorable projects, thanks for the inspiration!! Such fun! My daughter in law is a chef/baker. WOuld love to have these for her! The kitchen stamps are so cute. I really like the carton of eggs and box grater. 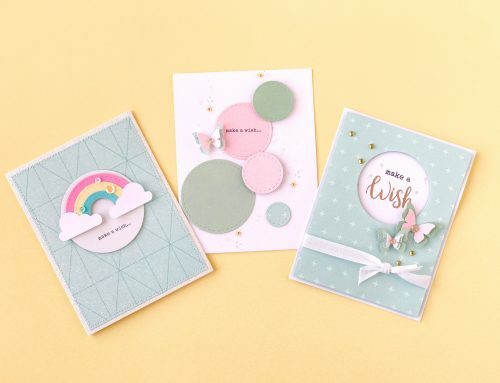 These would be great for cards and scrapbooking. Thanks for the opportunity to win. My favourite Valentine’s treat would be a triple chocolate brownie from a local bakery….Yum, yum, yummy!!! Fabulous inspiration!!! such a great baking stamp set! TFS! Love the carousel horse so pretty what a great set. Love the stampin up products. Lovely colours on the papers. Thanks for the great give aways. The Perfect Mix stamp set is so adorable! Love all the projects, especially the scrapbook layout! So many cute ideas for this stamp set! Awesome stamp set and great samples! Love the mixer! Such a cute set! What great ideas from Allison. My favorite treat for Valentine’s Day are the mini cinnamon hearts..soo yummy! My favorite valentine treat is a handmade card from my little one-with chocolate coming in at a close second! I like to buy cinnamon hearts each year at Valentines. Such a wonderful mix of projects! Thanks for sharing! My favorite Valentine treat is anything chocolate! Just don’t give me any of those little hearts with words on them! Super cute projects. I’d love to win the Perfect Mix stamp set to play with…especially the cheeky “You’re one in a dozen” sentiment. My favourite Valentine treat? Cinnamon hearts, of course! Great projects, I love that layout! Thanks for the chance! I love to bake and my girls love to help so this set would be so much fun to make cards or scrapbook with! That set looks perfect for a family recipe album! Chocolate anything is always good. Thanks for the giveaway. Oh what a fun stamp set! My favorite Valentine treat is when I don’t have to cook dinner. That’s my favorite treat any time! I love it when my sweetie is in the kitchen. Thanks for the chance to win! As my daughter and Is second hobby is baking I can appreciate these stamps!!!! Wow! Just love this set and your projects! Recently got a Kitchenaid as a gift so I’m loving this set and would love to win! Thanks for sharing! Awww!!! Such darling projects! Absolutely adorable!!! My favourite Valentine treat is chocolate!!! I love so much Lindt and the Italian Baci Perugina chocolates!!! Chocolate and peanut butter chocolate hearts are my favorite Valentines treat. This set would not have been my choice for Valentine’s Day treats but Allison certainly showed us some great projects. She saw outside the ‘crate’ – great! These are awesome project ideas! I love the Perfect Mix stamp set. What a great idea to use this stamp set to create items for Valentine’s Day! Thanks SU for the chance to win!! I enjoy reading your blog each day and love your enthusiasm for stamping. I love the “egg box” you used in your blog. Where can you buy these in the U.S.? I love the projects you made with the Perfect Mix stamp set, especially the hand mixer. Neat layout. Great products for scrapping kitchen, baking and special Occassions that involve food. My favourite valentines treat is chocolate. Let’s be honest, my favourite any time treat is chocolate. My favorite treat any time of the year is Ferrero Rocher chocolates! I love this stamp set. I’ve been the family baker all my life. I love the card with the photo. I made my granddaughter a purple ruffled apron for Christmas and have a picture of her and her mom making cookies at our house. It would be perfect for her. My all time favorite is See’s candy. Thank you for the opportunity to win this great stamp set! Thank you for the opportunity to win this cute stamp set. I like the card with the photo as it brings it all to life. My granddaughter and her mom are in a photo I have from Christmas, baking cookies in our kitchen. She was so excited when she opened her gift with a purple ruffled apron I made and her own baking utensils that she wanted to bake them right away! My favorite treat of all time is See’s candy, especially rum nougat and Mayfairs. Yum! Happy Cooking! These are so cute! I love the eggs and the mixer! My favorite Valentine treat is the dark chocolate nougat candy from See’s Candies! They are the best! Thanks for the chance to win! Happy ? Day!! Thanks so much for showing a scrapbook layout. I have so many great pictures of baking with my kids and I can’t always get papers or ephemera to match but usung the stamps is perfect. Favorite valentine’s treat- flourless chocolate cake. Oh my those stamps are adorable!!! My favorite Valentines candy has to be convesation hearts. Where did you get the egg carton, super cute ideas. Perhaps I need to send one to my mother in law. My favourite Valentine treat is chocolates! It’s my favorite treat anytime. Love the Perfect Mix stamp set! I do recipe pages for my daughter and this would be “perfect”! This set is so cute. My favorite Valentine treat is dark chocolate Dove. Adorable stamp set and creations. My favorite Valentine treat is chocolate truffles. This stamp set is so fun, and I love the sentiments too. I love to bake and cook, so this would get a lot of use in my household. Stampin Up products are always the best. This stamp set is so fun, and I love the sentiments too. I love to bake and cook, so this would get a lot of use in my household. Stampin Up products are always the best. My favorite Valentine treat is chocolate…always chocolate! Love candy hearts!! yum. Love this set and the ink colors as well! Would love to decorate recipe books with these stamps! Thanks for the opportunity to win. Love love love the Stampin Up baking stamps and if I win I know exactly what I would do with them. My dad has been sick for awhile now and his treatments have left him with no appetite except for two family members constant baking. For some reason he still has his sweet tooth and they bake his favourites to try to gain some of his lost weight back while that’s not really happening, I know sending these cute stamped cards to these two ladies would be so much appreciated. Thank you for the chance to win!!!!!! My favourite valentine treat is being with those I love!!!! And chocolate kisses!!!!!! This stamp set is so adorable and homey, and would be great for cards or tags to go with homebaked goodies. I love Stampin Up papers and products because of their high quality and trendy colors. Love the projects and the giveaway is amazing!!! A big congrats to my friend Sandy for winning last weeks giveaway!!!! My fav valentine treat is chocolate covered cherries! Thanks for the opportunity!! 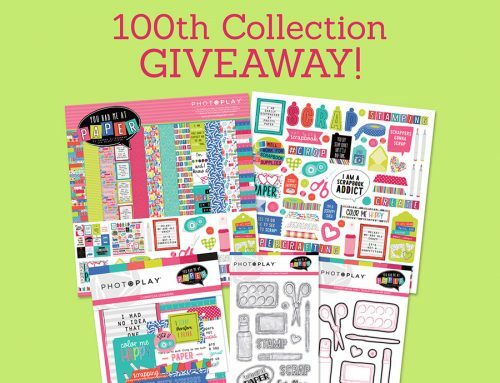 This stamp set is so cute and I would love to win this for a friend that is just starting scrapbooking with creating her own family recipe book!!! My favourite Valentines treat has got to be the candy conversation hearts! ???? These are adorable stamps! As a baker, I would absolutely LOVE to add them to my collection! My favorite valentines treats are decorated heart cookies! These baking stamps are beyond cute! I would LOVE to win them for my stamping-and-baking friend Amanda! Such a fabulous ‘mix’ of projects to show off the versatility of this set, Allison! 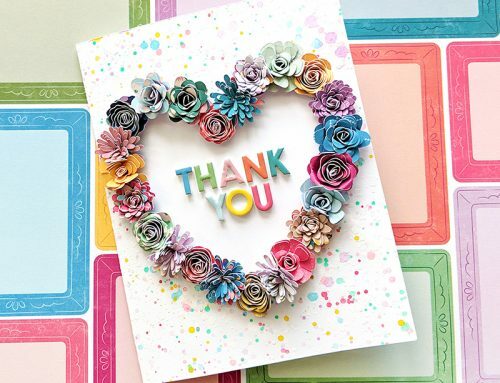 Thanks for sharing the ideas, and thanks to Scrapbooks & Cards Today and Stampin’ Up! for a chance to win this terrific set. Cute set! I have a friend who I get my eggs from and I could see using this for a card for her. My favorite Valentine treat would be spending time with one or all my “sweet” family members! So cute the whole set! Such a cute stamp set. I am loving the eggs. Congrats Sandy. Gorgeous!! So cute, and great coloring! My favorite Valentines treet must be (as always) the Swedish Semla! house early in the morning to get flowers and a card. no longer possible. Love the egg carton. Such a cute stamp set. I really love the projects Allison showed with these stamps. Really good chocolate with a hint of sea salt definitely my favorite. The layout is “grate” and the ideas are “one in a dozen”….. Love it! Lovely and fun ideas for using this stamp set. Oh I forgot to add what my favorite Valentine treat in my comment . . . actually I consider receiving a card from my wonderful husband a treat in itself! As long as I get a card, I’m a happy camper! THIS WOULD BE GREAT FOR MY COLLECTION TO FINISH GRANDKIDS FUN PAGES. LOVE, LOVE LOVE THIS. Where did you find the candy egg carton? Everything you made is so cute!